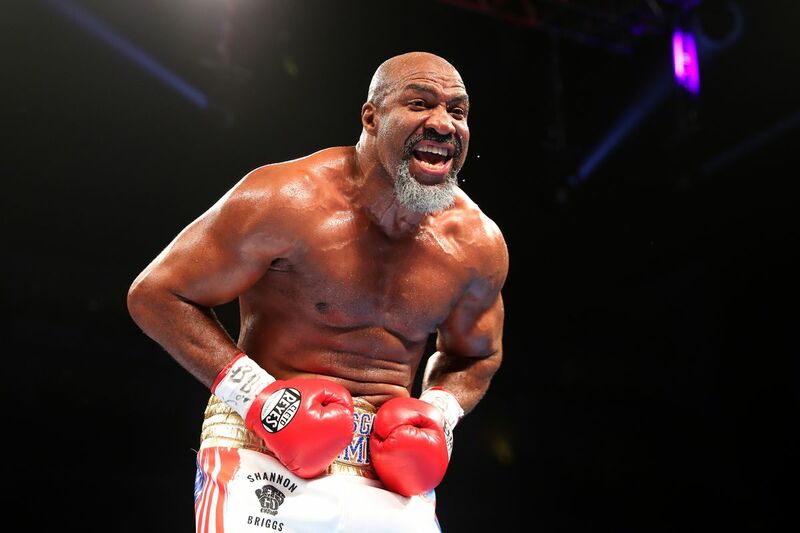 As is being reported by ESPN’s Dan Rafael, Shannon Briggs has just been busted in a random VADA drug test which will put his scheduled WBA title fight with Fres Oquendo in serious jeopardy. Briggs, 45, has been on a long and persistent campaign to make another run at a world title after falling into the abyss like aging fighters tend to do. But Briggs was actually making significant progress through a catchy “Let’s Go Champ!” marketing campaign, which earned him more attention than his actual boxing has warranted as of late. Needless to say, I’m sure there will be some sort of rebuttal or explanation coming from Briggs’ camp in the coming days, but this news certainly doesn’t bode well for the Briggs brand, nor his world title aspirations.